Are you an effective leader or team builder with a passion for youth work? 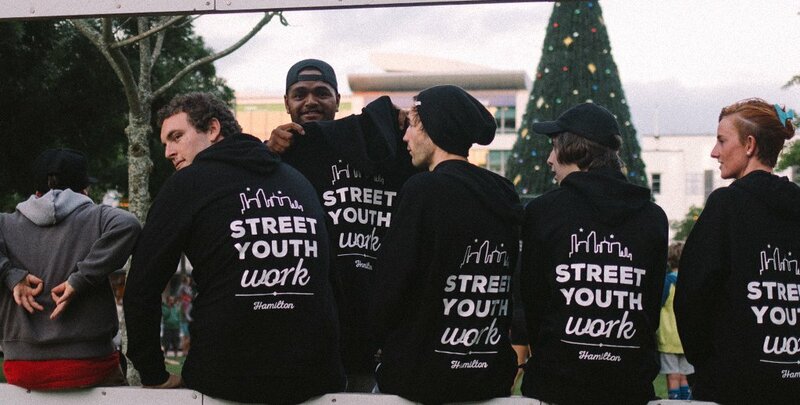 In late 2016 we launched a Street Youth Work initiative that sort to engage with disconnected young people in Hamilton’s CBD which specifically targeted the K-Mart Night Markets on Saturday nights. Since then, the project has been shifting and changing to meet community needs and we now run an out-of-centre street youth work project in Nawton and are looking to launch again in Hamilton’s CBD. In this role, you’ll be taking a lead role in one or both of our Street Youth Work teams, engaging with young people in their spaces and places, and helping develop and run engagement opportunities that facilitate connection. An informed and trained team of youth workers equipped to proactively engage with vulnerable young people on the streets on Wednesday or Thursday afternoons, coloor on Saturday nights. A relational link to our in-centre resources, activities, and outcomes. Lead a team of volunteers in building effective activities and opportunities for youth engagement on the street. Be consistently present with the team and in training/induction processes. This is a casual role which requires availability on Wednesday (2:30-5:30pm), and Thursday or Friday afternoons (2:30-5:30pm). There will also be availability required around Office Hours, for 2-5 hours per week. Hours will be up to 10 hours per week. A Full License is preferred. Applicants must complete an appropriate background check, training, and our Health & Safety process. Sound like you? Apply with CV & Cover Letter to Josh Vossen at hams@zeal.nz.